Three-shot panorama of a paper birch (Betula papyrifera) understory in White Earth State Forest near Park Rapids, Minnesota. Timber stands dominated by paper birch are generally early successional habitats that are created by major disturbance events. 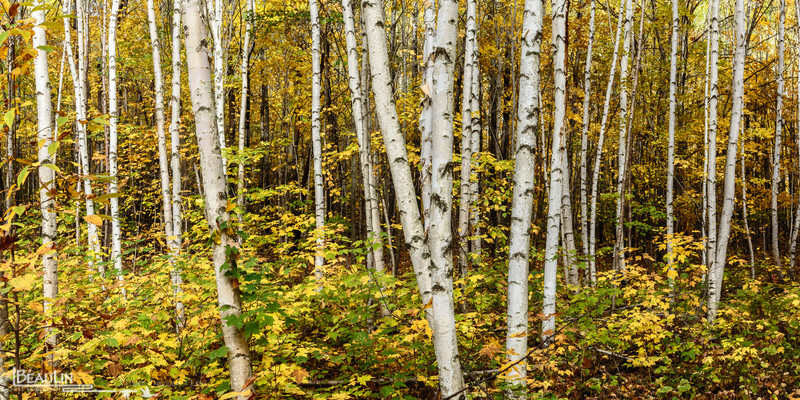 Paper birch is not a particularly long-lived species and as they age are susceptible to disease, drought and major wind and ice-storm events. These types of forests are becoming more rare in the southern boreal forest of Minnesota due to the influence of humans, including fire suppression and anthropogenic induced climate change.